ABOUT BEASTPK BeastPK is a RuneScape Private Server; RSPS based on both 667-vision and custom content. We've been up and running for 4 years. What started as your average RSPS, has turned in to an RSPS with content you can enjoy for thousands of hours, literally. As mentioned earlier, BeastPK gives a great emphasize on custom content. We've provided well thought out custom items and monsters. If you're in to all styles of RSPS, then BeastPK is for you. You get to choose your style of gameplay. Are you in to PKing? Then start as a maxed main, spawn your basic gear and get to PKing. Are you in to skilling? Well don't worry, here at BeastPK you can skill all you want, with XP capping at 500M. Not only that, but you get to enjoy our custom sailing skill, which no other server has. Are you more of a PvMer? Sure, we have 40+ Bosses, excluding 2 timer based bosses that spawn every few hours. You can kill monsters without being annoyed, by using the PvM Instance system. Are you a gambler? Grab your gambling permits! You can finally start gambling without ever being scammed. Do you like getting achievements/tasks done? Well, on BeastPK you can achieve the completionist cape (trimmed) which is the hardest cape to obtain, it may take over 1000 hours. There's place for every type of Runescape player. Did I convince you already? As mentioned about us; We have an active Wilderness. This includes that we have a perfect ticking system. We have plenty of Special Attack weapons that you can choose from. We definitely know you will enjoy every single one of them! We also offer a temporarily Special Attack weapon for the beginners to try out! For a long time BeastPK had no good accessories that go well with your equipment. We've solved this issue by introducing new custom sets of accessories. 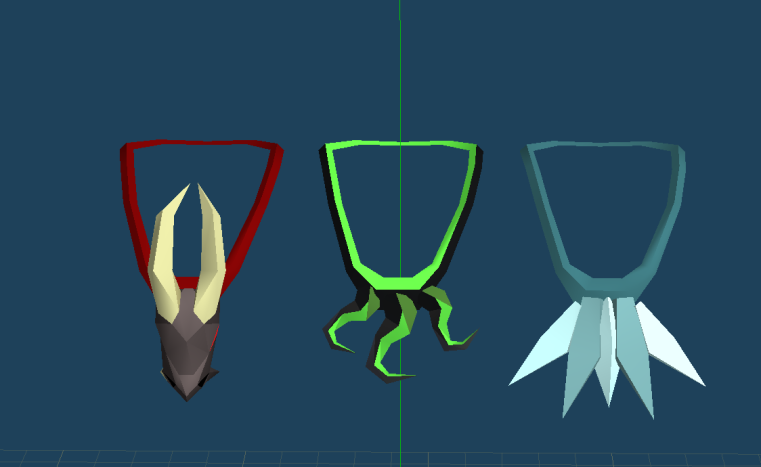 Each accessory has a combat style, Dragonic is for Melee, Poison Claw is for Range and Crystal is for Magic. These are not only the best in-slot for its combat style, but also give you a benefit of hitting 4x with a chance of 10%. What makes these so good, is that by wearing all 3 that effect gets tripled! - How do you create them? 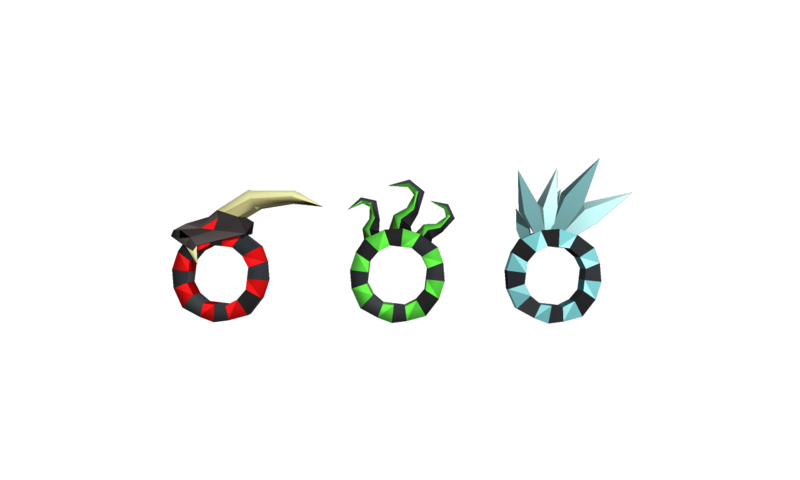 Each accessory has a respective boss to it. That boss drops a sigil that you need to use on an unidentified glove, ring or amulet. The unidentified items are obtained through the bosses, and so are the sigils. It costs nothing to create them, you just need RNG on your side! To obtain a certain accessory, you need to kill the boss that drops the sigil you want. Ice demon (Crystal Sigil), Dragonic Demon (Dragonic Sigil), Poison Claw (Poison Claw Sigil). Each boss also drops unidentified gloves, ring and amulet. To visit the new bosses, use the pvm teleports interface to teleport to them. - Lowered Angelic Aura Wings value to 250M. - Lowered Demonic Aura Wings value to 250M. Able to transfer redeems to billz & more. A new monster that has never been seen before. To obtain the new set of weapons, you must kill Crystalite Gargoyle. It is recommended to kill Crystalite with a stab weapon. Other styles of combat, may not work that well. To access Crystalite enter the crystalite lair at the slayer cave. Though you need 99 slayer to be able to hit Crystalite. Crystalite Gargoyle has been added to the completionist cape (trimmed) requirement list. New player didn't have many option when it came to starter bossing. So we've added beginner monsters to kill, for easy money making! The new monster is called "Gulega", and is available in the PvM Teleports. It mostly drops items with high coin value, able to sell at the shopkeeper. Gulega has also been added as a new task for completionist cape. See the cape at home or at skilling for more information. New addition of weapons, these weapons are almost the same as tormented, but stronger and has the ability to hit three times with a 50% chance. Heirloom hasn't received an update in a while! We've decided to introduce 5 more levels to the Elemental Heirloom! Upon spending $1000 in webstore or on getting a custom item worth $1000 you will receive a free Elemental Level 5. - Added The bloodchiller pet. - Added Crystalite gargoyle pet. - Added the new pets to the pet box. - Buffed the tormented weapons drop rate on tormented beasts. - All tormented demon versions now drop tormented wings. - Fixed issue with PvM Hiscores not displaying new npcs that were added recently. - Lowered the amount to upgrade throughout elemental levels. © 2018 BeastPK. All rights reserved.